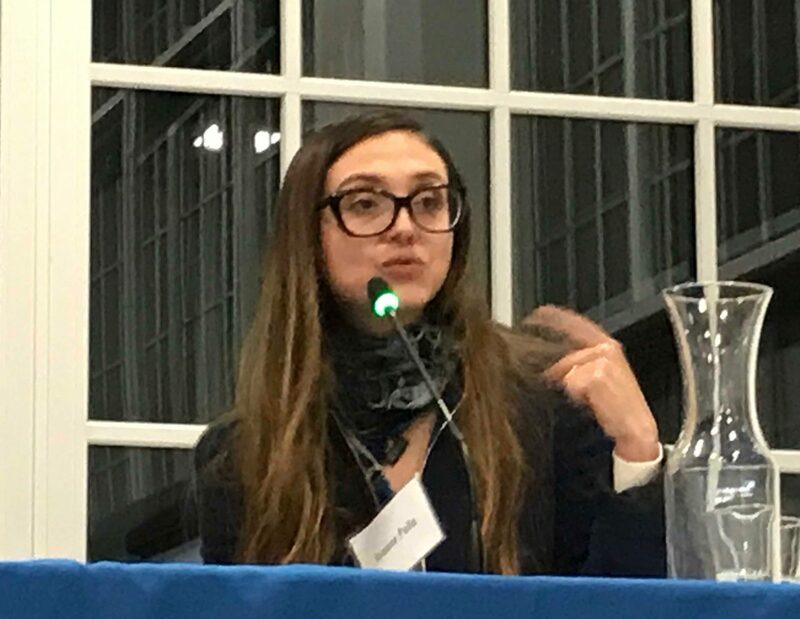 Panelist Paulina Jaramillo speaks during “The future of energy: Can we get to zero carbon?”, a public event in Pittsburgh Jan. 29. 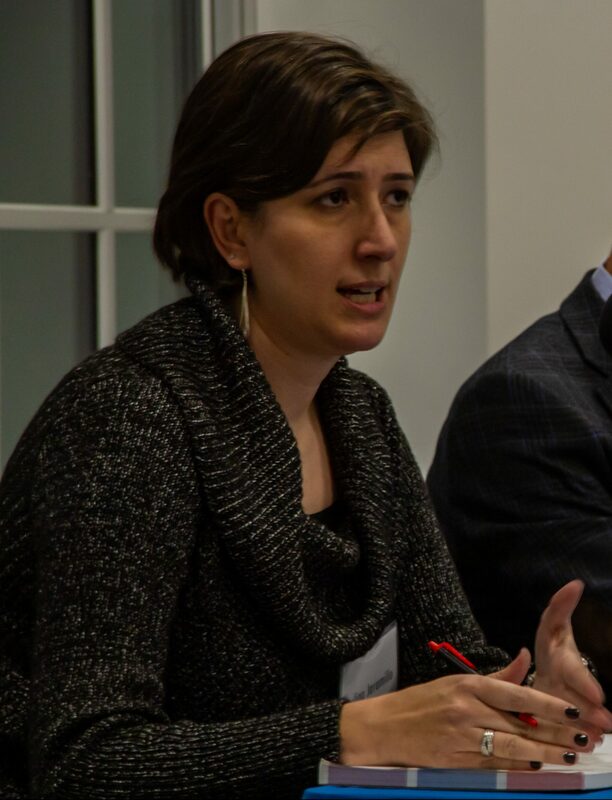 Panelist Ivonne Peña makes a point during a public event at the Energy Innovation Center in Pittsburgh on Jan. 29. 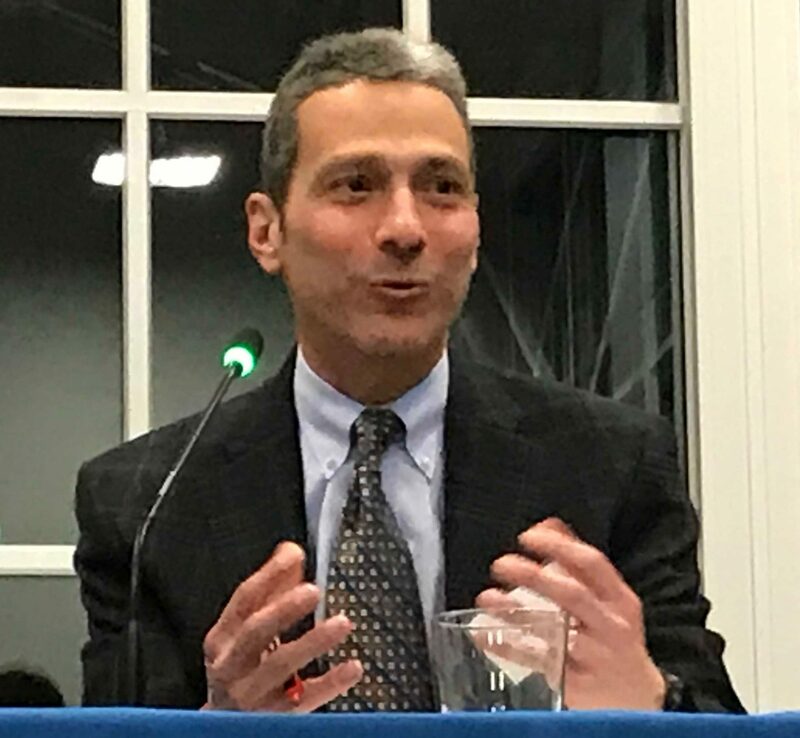 The discussion, organized by StateImpact Pennsylvania, WESA and The Allegheny Front, focused on whether and how the U.S. could decarbonize its electric supply. 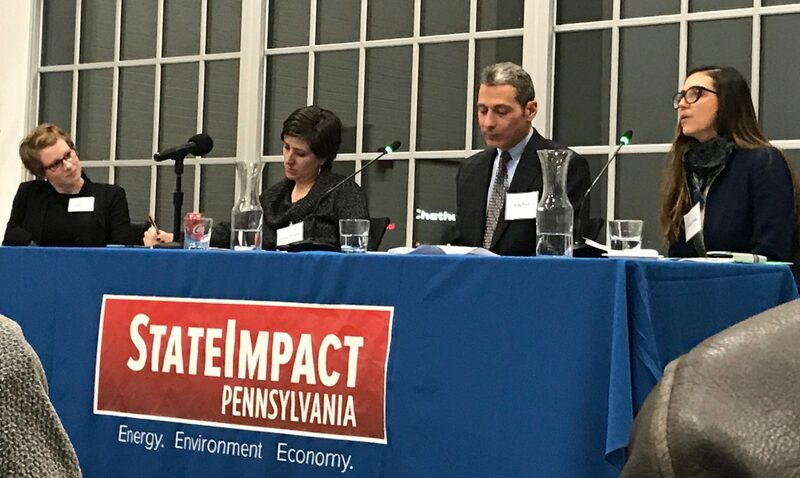 StateImpact Pennsylvania reporter Amy Sisk, left, with panelists Paulina Jaramillo, Greg Reed and Ivonne Peña at a public event in Pittsburgh Tuesday Jan. 29 called “The future of energy: Can we get to zero carbon?” Sisk and StateImpact reporter Reid Frazier moderated the discussion at the Energy Innovation Center in Pittsburgh.